Text lingo can be really hard for mother tongue English speakers so it's especially difficult for those learning English as a Second Language (ESL). For many of my students English texting (or net lingo) is like learning another English language. It can be very frustrating for them. One reason it’s hard is that words are abbreviated and shortened. Another is that there are a lot of slang and idioms in text lingo. But text lingo is everywhere, especially because of mobile phone messaging, internet commenting, chatting and Twitter. I bet you even use text lingo in your own language! Let's explore these two ways of writing below. 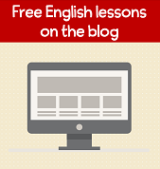 You can abbreviate phrases and expressions by using the first letter of each word. These are often written in CAPITAL letters. So, to abbreviate a phrase or group of words is to shorten the phrase by using a letter for each word. Some abbreviations are acronyms (you pronounce the abbreviation like a word) like YOLO (sounds like “yo-low”). Other abbreviations are initialisms (you say the letters when you speak the word) like BFF (be eff eff) or TGIF (tee gee eye eff) . 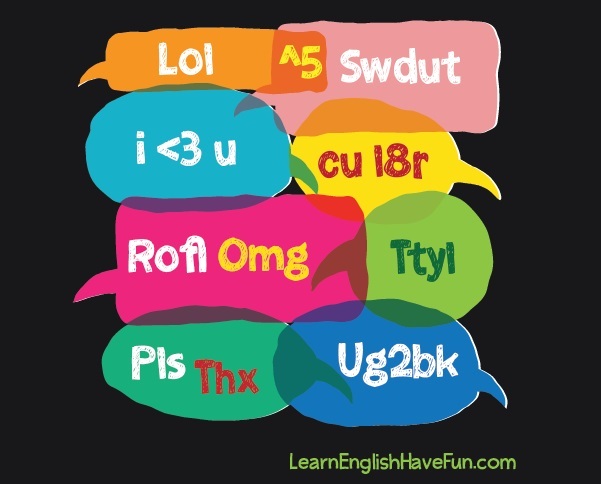 Note: Often you never speak these abbreviations at all and only use them in writing. For example, I don't think I've ever heard someone actually say TTLY, ROFL, LMAO, PLS, THX or IMHO. I just see these expressions in writing. Let's look at some examples. How many of these do you already know? WRUD = What are you doing? SWDUT = So what do you think? WDUM = What do you mean? To type in short hand, drop the vowels in words (a, e, i, o, u), replace words with numbers and individual letters of the alphabet that make the same sound. Sometimes text speak is not just short hand or abbreviating phrases. Often people are actually using slang, which makes it even harder for those learning English as a Second language. Click here to learn more about slang and text lingo.